The beauty of our versatile Aubrey T-strap is all in the details. Crafted of sumptuous, burnished leather, it features delicate contrast stitching, pretty woven straps and a buckled ankle strap for a customized fit. 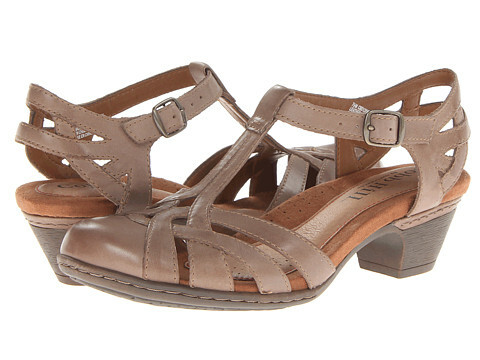 With an airy sandal feel and comfy mid-height heel, it’ll put a retro kick into both your work and weekend wardrobe. Sizes:(N) 7-11 (M) 5-11 (W) 6-10* sizes available although not all in stock.